The group deploys snark to send a strong message to political contenders. If you're a political candidate seeking endorsement from the powerful Chicago Teachers Union, then you must fill out a "candidate evaluation" form to measure your worthiness. It's an amusing new strategy for the CTU, one that offers clever commentary on issues that fire up public school educator-activists—notably what they view as an over-reliance on big money-backed standardized testing that emphasizes test scores over actual learning. Scores that are used to rate teachers, and potentially fire them, too. With that in mind, the union issued its "candidate evaluation" forms this week, deploying snark to weed out aspiring politicians with potentially watery education allegiances. The group usually fields candidates' take on the issues without keeping score, but this time, it's ranking answers to a set of questions on education reform, "commitment to CTU's vision for school and workplace justice" and other topics—thereby giving the state a taste of its own medicine. "The Illinois Performance Evaluation Reform Act (IPEA), enacted in 2010, fundamentally changed how teachers are evaluated," explains the questionnaire (via Crain's Chicago Business). "The new system utilizes a highly detailed and rigorous framework for evaluating teachers' work. ... The framework provides a rating of unsatisfactory, basic, proficient and distinguished for each component (in the evaluation), and the total rating is derived by aggregating the ratings for each component." "We believe that those who develop, pass and enforce laws should be held to the same standards as our members. To that end, the Chicago Teachers Union will assess candidates for elective office using this rubric based on the one used to evaluate teachers." In the CTU's rulebook, a candidate is deemed "unsatisfactory" if he or she has "cold, disrespectful and occasionally hostile" professional relationships and "actively supported school closures, the expansion of charter schools, (and) the unfettered use of standardized testing." 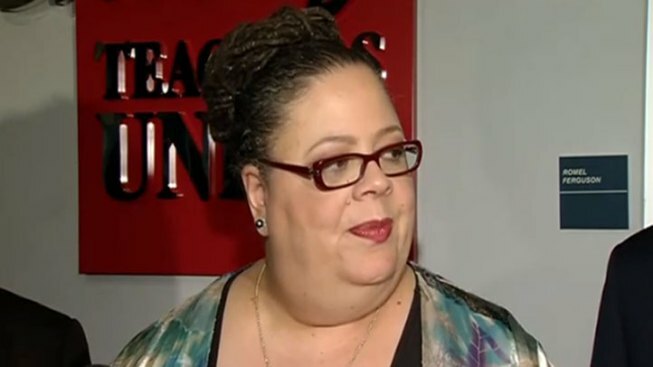 The union's fiery president, Karen Lewis, publicly scolded Mayor Rahm Emanuel when the city shuttered dozens of under-attended schools in low-income neighborhoods last year; in 2012, she led a city-wide strike in a dispute over teacher contracts. She was considered a strong candidate to challenge Emanuel in 2015 city elections before an unexpected brain illness derailed her plans. She recently endorsed Cook County Commissioner Jesus "Chuy" Garcia for mayor.